Wikipedia has published an article featuring a list of motorcyclists, all of which have made notable motorcycle journeys between 1902 and 2016. The achievements of approximately fifty travellers are contained therein, with material relating to the type of journey and the motorcycle used, with further information available via the use of additional links. It is worth taking a look even if just out of curiosity, but the list can be changed, given that few Italians have been included! 175cc. The two left in September 1957 and returned exactly one year later, having encountered a number of tribulations along the way, including surviving unharmed, four separate revolutions. 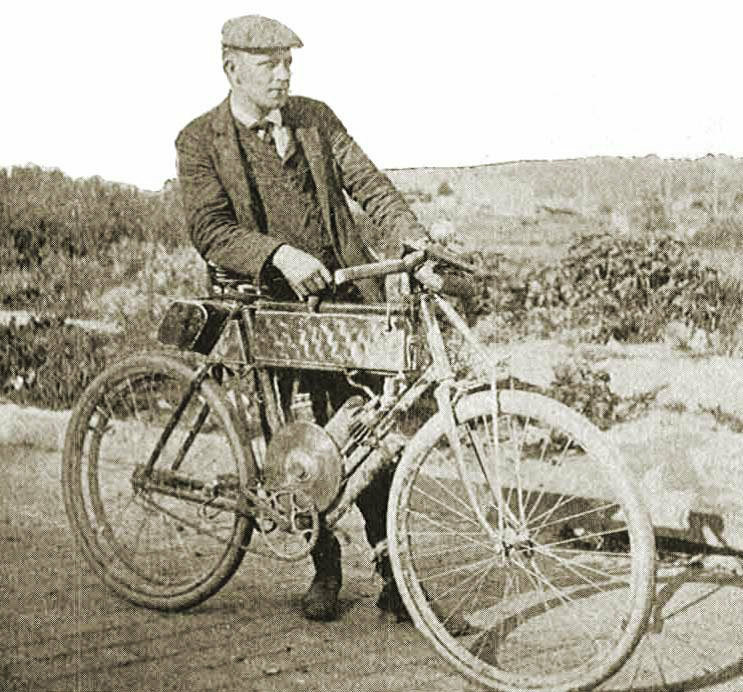 – In first place is George A. Wyman; in the distant year of 1903 and before anyone else, he travelled with a motorcycle (a model produced by the California Motor Company) across the United States from San Francisco to New York (a total of 6,100Km). 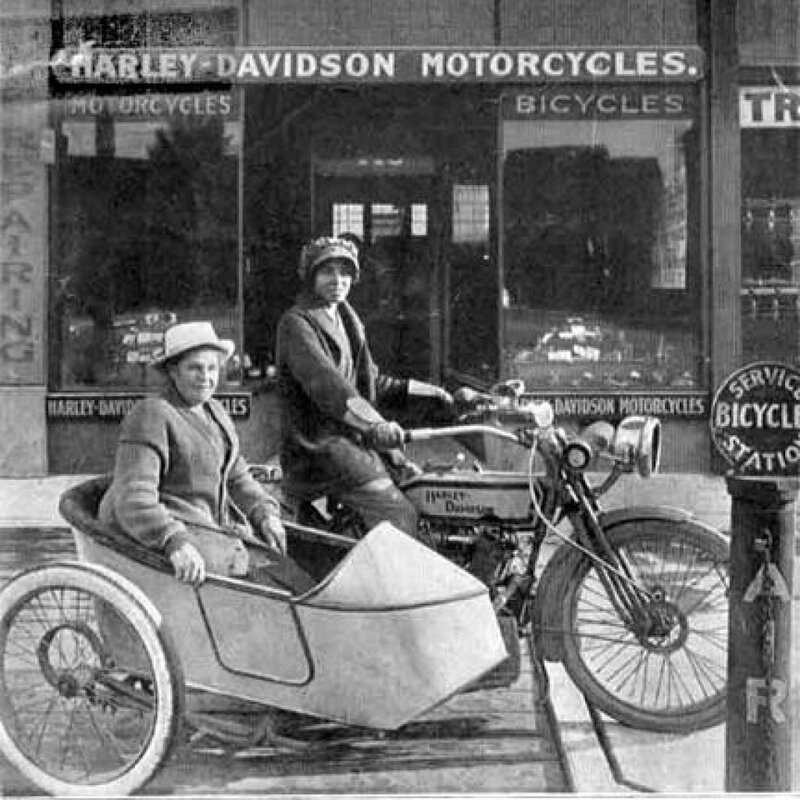 – In 1915, the Americans Avis and Effie Hotchkiss enter the list, a mother and daughter who, with a Harley-Davidson sidecar, covered the distance between two US coasts back and forth, covering approximately 14,000Km. They were the first women to successfully accomplish the “transcontinental crossing of the USA”. – For the first time ever, the Hungarians Zoltàn Sulkowsky and Gyula Bartha riding a Harley-Davidson surpassed the 100,000km mark in a single journey. This took place in 1928. Their feat is the first round the world motorcycle journey covering all inhabited continents. They travelled for years and visited a total of 66 countries. 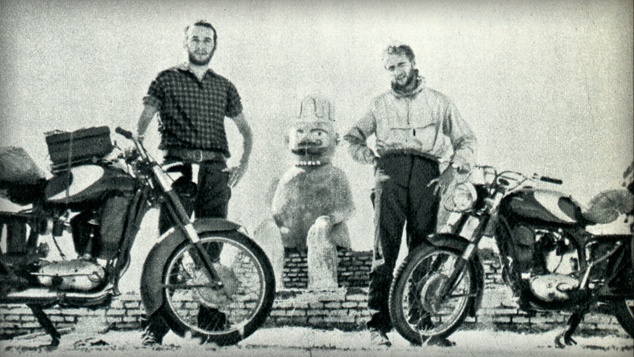 – The first trip with a VESPA (a GS) took place in 1966 but is not linked to an Italian. 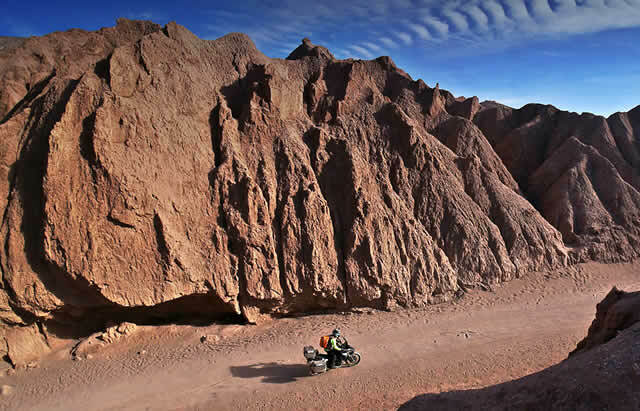 The 18,000km between North and Central America were covered by the American John Gerber. 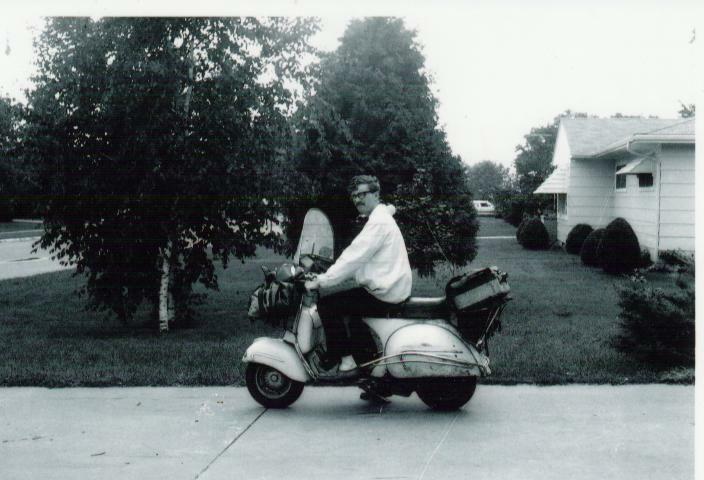 The same John Gerber rode another VESPA (this time a Vespa SS180) in 1971 on a 40,000km tour that extended the previous trip to include the whole of South America. – The renowned motorcyclist and writer Ted Simon made his appearance in 1973 with “Jupiter’s Travel”: 126,000km around the world riding a Triumph Tiger 500cc. 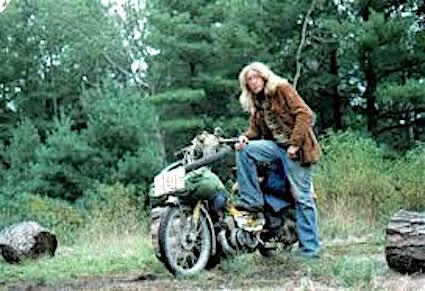 – In 1978, the Canadian Walter Muma covered almost 20,000km riding a Motobècane 50cc on which he reached the northernmost tip of Alaska. 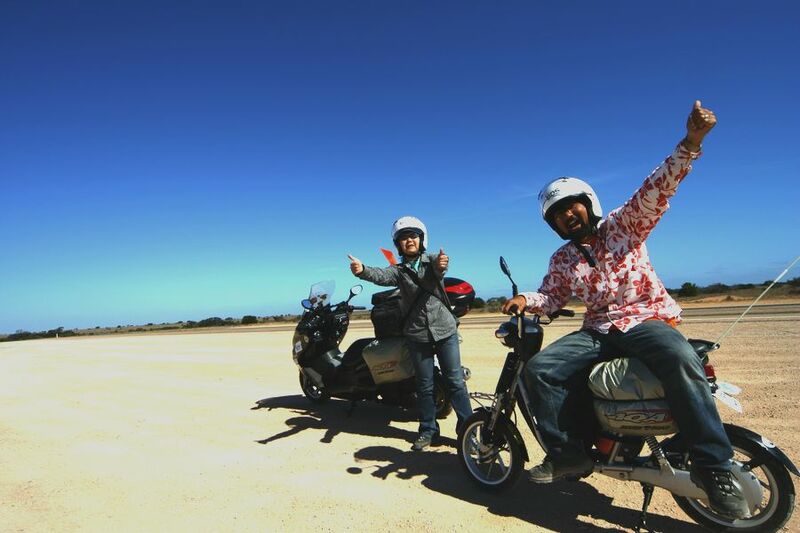 – The original and courageous achievement of the Japanese Kanichi FuJiwara also appears in the list: in 2004 he was the first traveller to circumnavigate the world, visiting 44 countries with a Yamaha electric scooter. 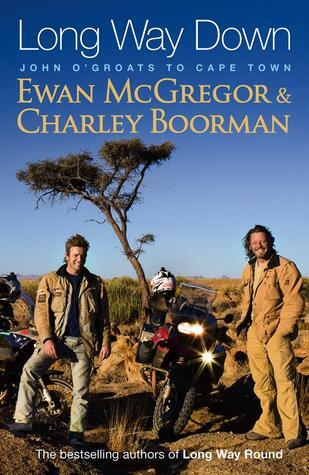 – Among the English riders we have Ewan McGregor, the English actor with his friend Charley Boorman who together completed the “Long Way Round” and “Long Way Down”, inspiring books and documentary TV series: the first in the summer of 2004 along Northern Europe, Russia, Mongolia, Canada and the USA, taking a year to complete 30,300km and the second in 2007, covering roughly 20,000km, discovering the continent of Africa. – The last on the list, produced in chronological order, is the British adventurer Kane Avellano. 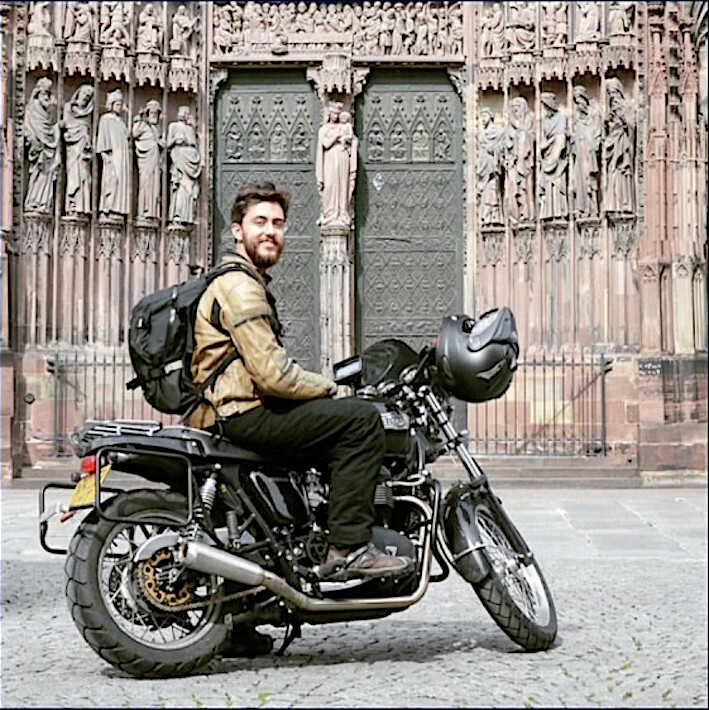 He also enters the Guinness Book of Records as being the youngest person at just 23 years of age, to have circumnavigated the globe by motorcycle. His achievement is dated 2016-2017. Kane travelled alone, visiting 36 countries and covering over 45,000km.